The Costa Group provides extraordinary service to elevate your life and bring you home. 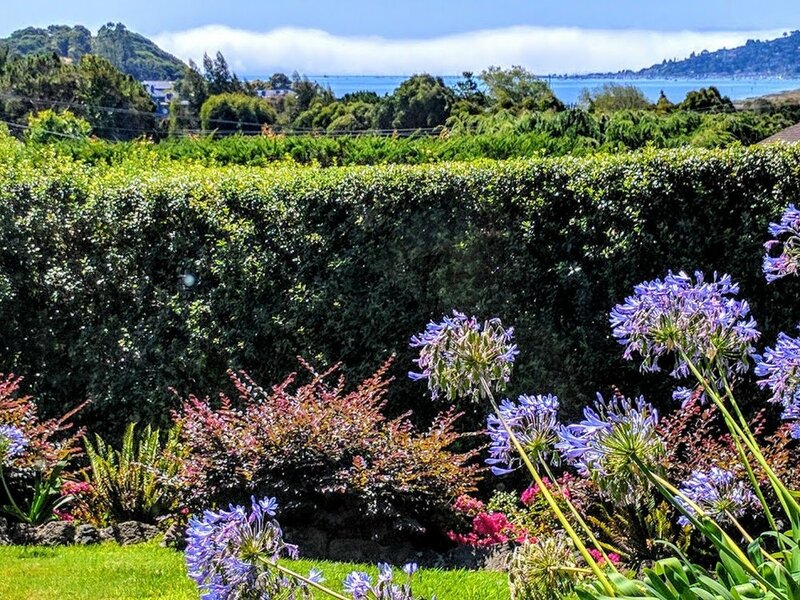 From San Francisco to Marin County we've sold 100's of homes and placed families of all shapes and sizes into Single Family Residences, Urban Dwellings, Penthouses, Condominiums, New Developments, Victorians, Edwardians, Apartments, Flats and Income Property. 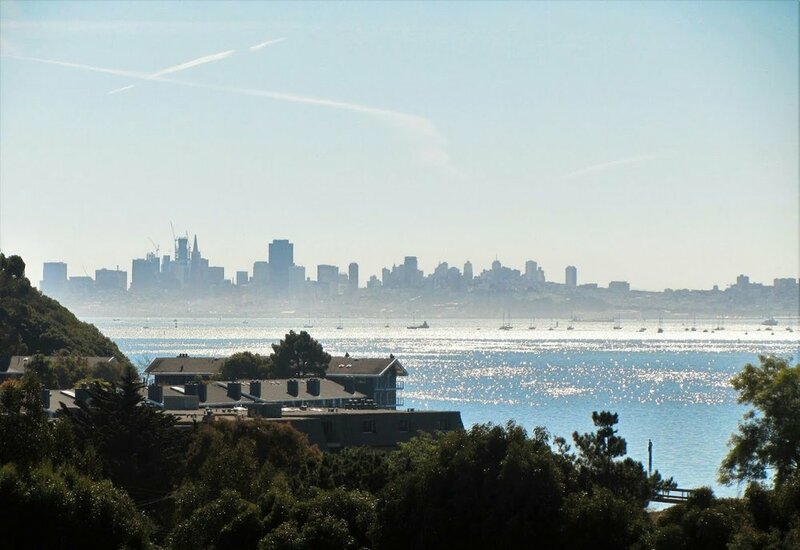 We have an intimate knowledge of the City of San Francisco and the Marin County neighborhoods and amenities. From Noe Valley to Mill Valley, experience 'The Costa Groups' hands-on availability, involvement and concern for you and your lifestyle. We are your partners, in listening, understanding and negotiating for you with our 30+ years of experience. All of our accolades and awards mean we continue to accomplish what we set out to do. To be the very best at representing you. That is our success. With real estate partners throughout the San Francisco Bay Area, California, the United States and globally, we help our clients with all of their real estate needs. 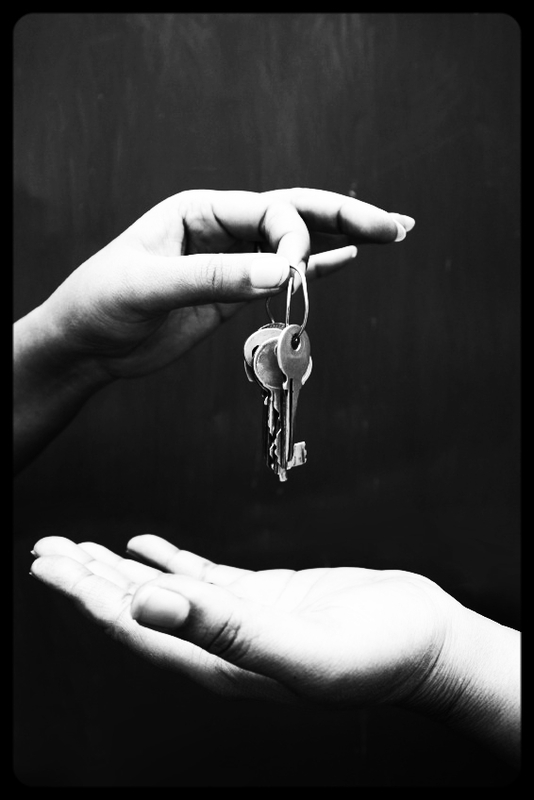 Wherever you may want to buy or sell, The Costa Group has a vetted partner to guide you. Just reach out! 1403 Willard Street, San Francisco, CA 94117 | JUST LISTED! Rarely does a home come along that exudes so much charm, personality, and soul. Edwardian period details abound in this exquisite 3 bedroom stunner, including cozy bench seating, box beam ceilings, and a variety of subtle touches that further showcase this home’s charm. The main level features a grand entry foyer, an expansive formal living room, large family room or potential 4th bedroom, and formal dining room. Enjoy the sizable eat-in chef’s kitchen with plenty of counter space, storage, two sinks, a 6-burner Viking range and cookbook shelves. The outdoor patio, accessed just off the family room on the main level of the home, provides the perfect spot for fresh air, al fresco dining, or entertaining. Upstairs, find the bright, oversized master bedroom with large secondary space to be used as a sitting room, office, or dressing area. Two additional large bedrooms, along with one full and one half marble bathrooms, complete this level. The large undeveloped attic offers possibilities to create additional versatile living space. 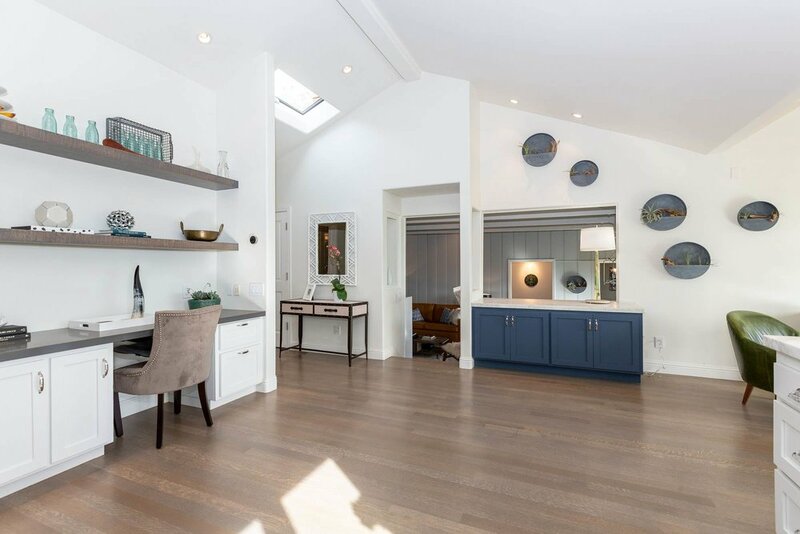 This home’s location in Cole Valley is nearby to all that Cole Valley village has to offer — a short stroll to Golden Gate Park, Grattan Playground, UCSF, spectacular shops, Whole Foods, and some of the best restaurants in the area. Excellent commuter location, and just a half block from N-Judah and multiple shuttle stops. 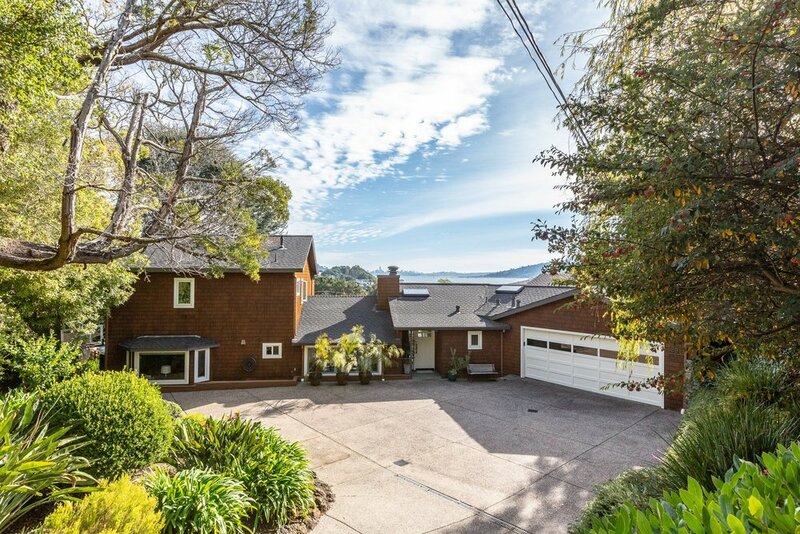 29 Bay Vista Drive, Mill Valley, CA 94941 | EXCLUSIVE OPPORTUNITY! 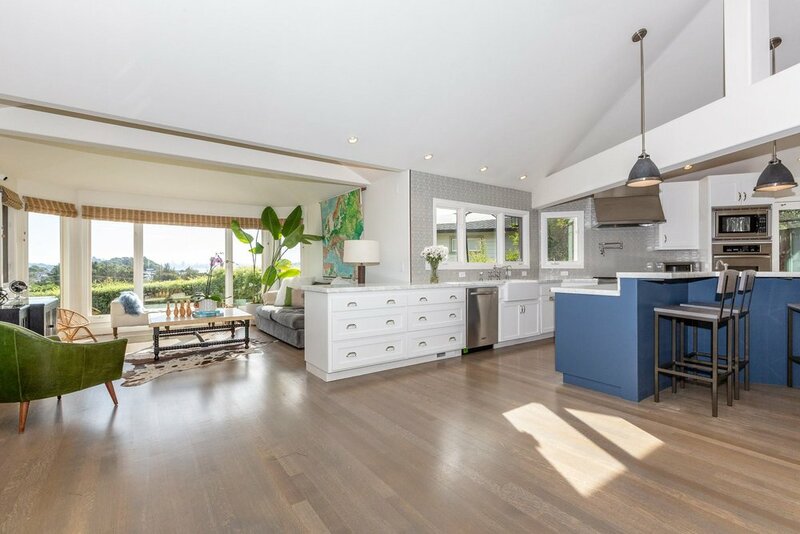 Situated on over a third of an acre and tucked behind a private gate, this thoughtfully-renovated Mill Valley home is what dreams are made of. 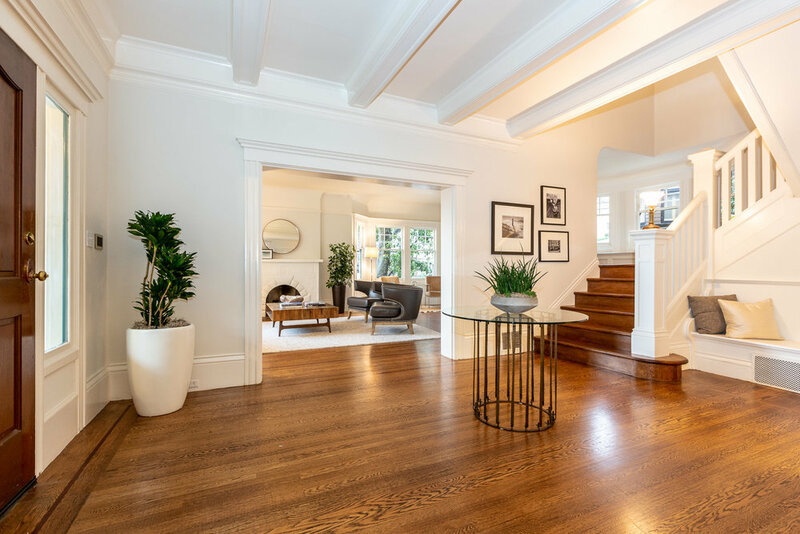 With panoramic views of the San Francisco skyline and the bay, mature gardens, and a remodeled chef's kitchen; Bay Vista is an ideal place for those who enjoy seamless indoor/outdoor living & entertaining. The newly-remodeled chef's kitchen boasts designer finishes and massive island with breakfast bar. Unique features include Italian calacatta marble countertops, Heath Ceramics backsplash, farmhouse sink, locally-crafted floating wooden shelves, 6-burner gas range, pot filler, warming drawer, hot water dispenser, and more. 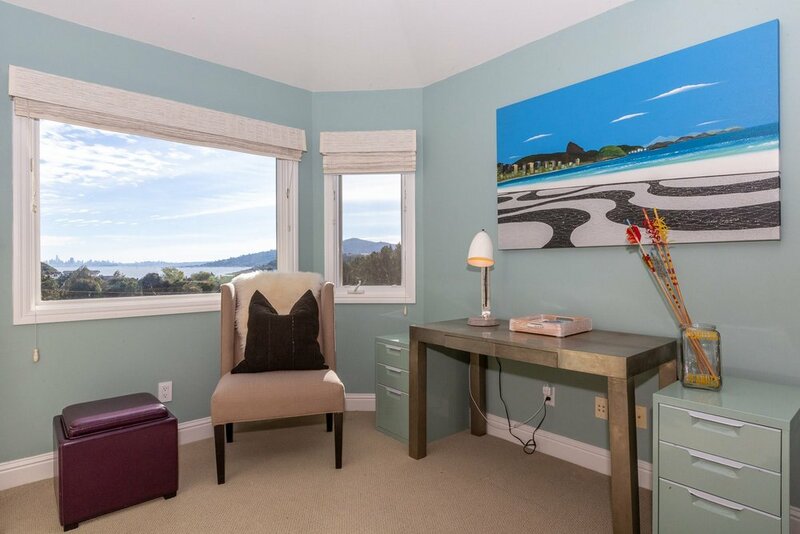 This private oasis is surrounded by greenery and nature, serving as a peaceful sanctuary in which take in the best of the Marin lifestyle. For those who love the outdoors, there’s a variety of activities within arm’s reach: hiking at Ring Mountain, strolling along the water & Blackie’s Pasture, biking the Bay Trail & Paradise Loop. 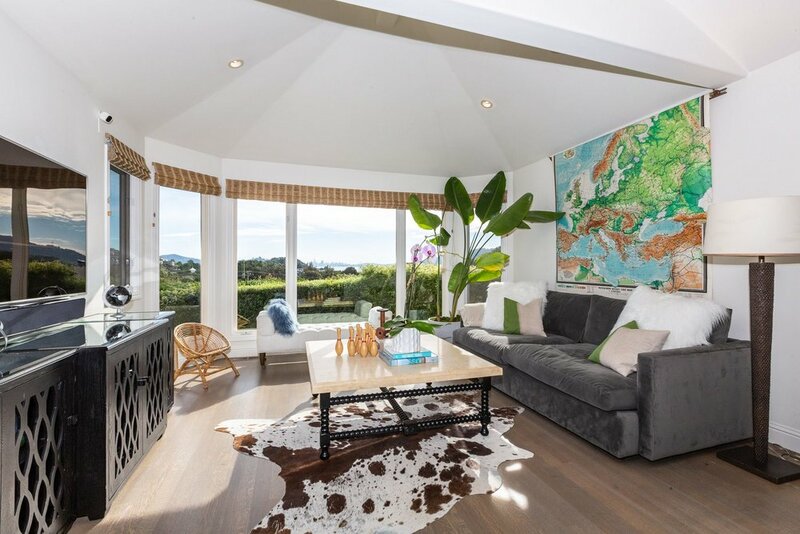 With easy access to the 101, Golden Gate Transit and the Ferry for commuters, this Mill Valley home is in the perfect location for those driving into and out of the city. Newly-remodeled chef's kitchen with designer finishes and massive island with breakfast bar. Unique features include Italian calacatta marble countertops, Heath Ceramics backsplash, farmhouse sink, locally-crafted floating wooden shelves, 6-burner gas range, pot filler, warming drawer, hot water dispenser, and more. 201 Arkansas Street, San Francisco, CA 94107 | EXCLUSIVE OPPORTUNITY! 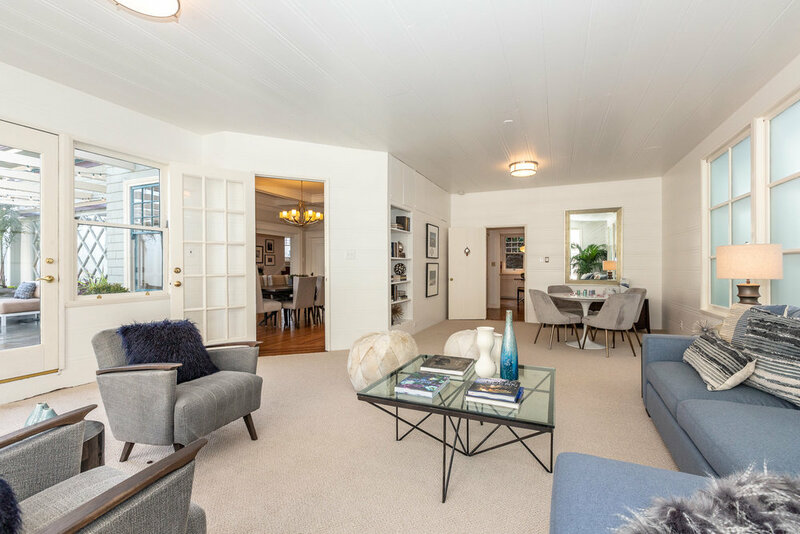 This 4 bedroom, 2 bathroom beauty on the sunny North Slope of Potrero Hill truly has something for everyone. Traditionalists will enjoy the open layout and gorgeous wood flooring, while modernists will love the air conditioning, solar power and contemporary kitchen with six-burner Viking range. On one level, you’ll find three bedrooms and one bathroom, along with a laundry room. On the main level, there is a recently renovated kitchen with marble countertops, white and blue cabinetry, and brass & stainless steel finishes. A large island grounds the kitchen, an ideal spot for cooking or hosting friends and family. The living space is an entertainer’s dream, with the kitchen open to both the dining and living rooms and two large bay windows letting in loads of natural light. There is also an additional family room on the main level, adjacent to a full bath with double vanity, closet, and 4th bedroom. The option exists to close off the entire family room space for an oversized master suite, if preferred. Venture out back to enjoy the barbecue area and fenced-in yard, perfect for entertaining guests on those sunny Potrero Hill days. A 1-car garage with interior access rounds out the home. The location boasts a 93 walk score, with convenient proximity to shops on 18th, Philz Coffee, Anchor Brewing Company, Whole Foods, and Jackson Playground. 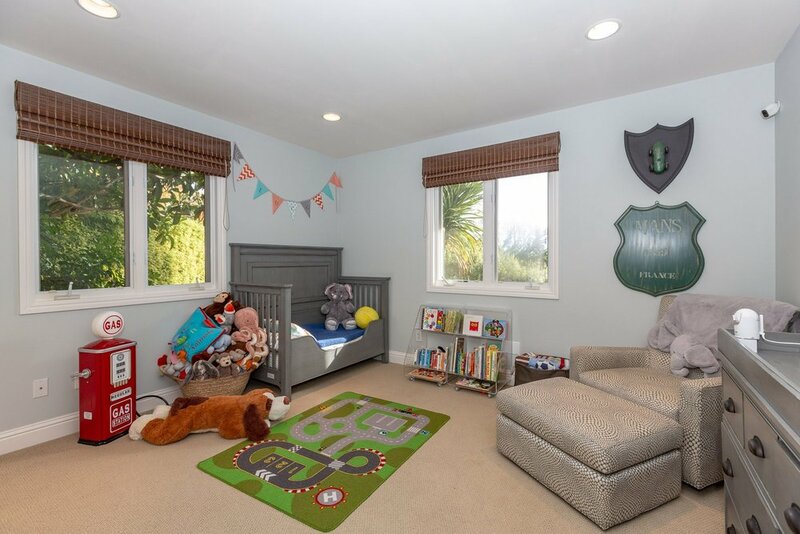 The home is also situated in a commuter’s dream locale, close to downtown, tech shuttle stops, entrances to the 280 or 101, and the 22nd Street Caltrain stop. Marin County, Wine Country and San Francisco. Below are just a few of our most recent sales, listings and properties soon to hit the market.